You’ve decided to move to Belize but don’t want to fall foul of the immigration laws. Luckily they are straightfoward, even if time-consuming. Here’s a guide to living legally and getting residency in Belize. Let’s escape and run a bar on the beach. Let’s house-sit in a fabulous home surrounded by wild birds in the jungle. These are all dreams that many wish to make a reality, and Belize is often the destination of choice. 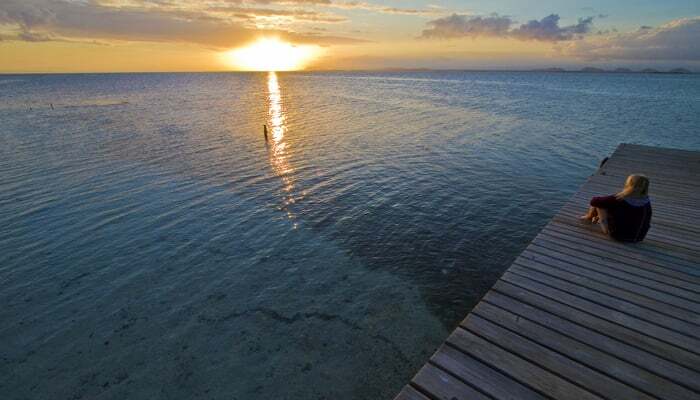 Belize is easy to get to, English speaking, and has a thriving expat community. It has beaches where people love to go to, and a great social circle. There are lots of volunteer opportunities. Belize can be a paradise for dreamers everywhere, but like every other country there are immigration rules. It’s wise to know and follow them to stop a dream becoming a nightmare. Belize welcomes tourists and makes it easy for them to stay in the country and enjoy all it offers. So, when you enter Belize, as long as you have a passport valid for at least six months from a country not requiring a visa, you should get an automatic 30-days. US, Canadian, EU, UK, Caribbean, and Central American passport holders do not need a visa. Citizens of other countries should contact the closest Belizean embassy for more information. A tourist visa allows you to spend 30 days in the country, but not to undertake any paid (or unpaid) work. To stay in Belize, as a tourist, for over 30 days, find the nearest immigration office and request a 30-day visa extension. This costs US$25 and as long as your passport’s valid, you’ve broken no laws, and you’ve complied with the visa requirements, there should be no issues. Like any country, it’s up to the immigration officer on the day whether you’ll receive an extension. They can refuse you for any reason. But most immigration officers in Belize are helpful and courteous. Like all Belizeans, they have an interest in ensuring tourists have a positive experience. Even so, they’re very serious about their work. It’s in your interest to respect their authority and be patient and polite when dealing with them. You can renew your Belizean tourist visa every 30 days for US$25 for up to six months. After that you must either leave the country for at least a week or pay a fee of US$50 for each renewed stamp. You may also discover that immigration officers will become curious what you’re doing. They may ask you for more info about your circumstances. Unfortunately, there are tourists who take advantage of the generous visa extensions and work illegally. Immigration officers will want to make sure you’re not doing that and have no intention of doing so. They may suggest you apply for a work permit if they suspect you’re working in Belize and you can’t prove otherwise. Many people come to Belize, fall in love with the country, and want to stay. Others come to work or start a business. Some want to make Belize their long-term retirement home. There are well-established procedures to make all these things possible. When going through these procedures, remember that protecting Belizean security, jobs, and livelihoods is paramount. Expect to provide plenty of documentation and to undergo a rigorous screening. Some find all this odious or intimidating, but immigration procedures are like this everywhere. Follow directions, show respect, and accept the rules may change from time to time. And above all, be patient and persistent. Qualified Retired Persons Incentives Program (QRP). If you want to enjoy your retirement in Belize and have no plans to work, then the QRP may be for you. You have to be over 45 and able to prove a monthly income of US$2,000 per month from a pension or investment fund outside of Belize. You also must live in Belize for at least 30 consecutive days each year to maintain your QRP status. QRP benefits include not having to update your visa each month and being able to import your personal items duty-free. You can apply for QRP status through the Belize Tourism Board. There’s a US$150 non-refundable application fee and, if accepted, the program fee is US$1,000 with an extra membership card fee of US$200. Annual renewal is US$25. If you work or volunteer in Belize, it’s up to the employer to fulfill the legal requirements allowing them to hire a foreigner. They provide you with a valid work permit. If you wish to start your own business in Belize or become self-employed, you can apply for a work permit through your local immigration office. Once you have a valid work permit, you will no longer need to renew your monthly tourist visa. The application processing and stamp duty is US$22.50. It can take anywhere from three weeks to three months for approval and you must continue updating your tourist visa during this time. The cost of the permit itself can vary depending on the work you want to do. But a general rule is to expect to pay around US$1,000 each year. You can fine work permit applications at local stationers. Ask your local immigration office which shops carry them. You must renew your work permit every year. Permanent residents in Belize can work without a permit and need not renew their visas each month or year. To be eligible for permanent residency, you need to live in Belize continuously for one year without leaving the country for over 14 days. You must apply through the Department of Immigration and Nationality Services. Application costs for permanent residency vary depending on the nationality of the applicant. United States citizens pay US$1,000 and EU citizens US$1,500. Financial documents, health tests, and police records are all part of the required documentation. It takes anywhere from six months to two years to complete the process. While waiting, you must either renew your tourist visa each month or apply for a work permit. Once you’ve been a permanent resident in Belize for 5 years or more, you can apply for Belizean citizenship. The fee is US$150, and it’s a thorough process, requiring medical tests, up-to-date police records and an interview. It can take years to get citizenship. But once you have citizenship, you get the benefits of Belize’s CARICOM membership. This means you can move freely through, live, and work in other Caribbean member countries. Get your citizenship application from the Department of Immigration and Nationality Services. During changes of government, internal investigations, and department overhauls, you may find procedures and policies change. You may also discover it takes longer than usual for things like tourist visa renewals and residency applications. Make sure you’re aware of these changes so you don’t end up in Belize without a suitable visa. Talk to other people in your community about any changes at the local immigration office to avoid surprises. The best attitude to have when dealing with your immigration status in Belize is to always be cheerful, over-prepared and early for appointments. This is especially important in areas with lots of foreigners, as lines can be long. This means that your immigration officer may not have had the best day by the time you see them. Make it easy and stress free for them and they might do the same for you!